Sometimes the biggest lies are the ones we tell ourselves. Angela Petitjean says she has done nothing wrong. She doesn’t understand why she’s being questioned by police in regards to a missing woman. She tells the police again that she’s done nothing wrong and until she knows what’s going on she’s not going to speak with them. But then a different Detective comes in. His name is Detective Novak. He tells Angela that they really need her help. For some reason, she feels like she can talk to him. Angela will talk to him but it is going to be on HER terms. She is going to start at the very beginning. Angela is actually desperate to tell her story. She believes that if Detective Novak listens to everything ….then it will give him the answers he is looking for. She talks about when she first met HP. It was in Grade 10 and she had just started at Lakeside High. HP was the guy everyone wanted to be friends with. As the new girl, Angela got picked on quite a bit. But one day HP stepped in and rescued her. After that, no one picked on Angela anymore. And soon Angela and HP they were inseparable. They had no secrets…. they told each other everything. As she tells her story, Detective Novak keeps interrupting. He wants to know how she feels about Mr. Parker (HP) now. How close they are…..if she’s still in love with him. Angela starts to feel like Detective Novak is missing the point. Does Angela know where the missing woman is? Is she protecting herself or someone else? This was a really quick read at only 272 pages. I was still really intrigued by Angela’s story and anxious to find out what happened. The author kept me guessing and although I’m not entirely sure how I felt about the ending, I’m still really glad I read this novel. 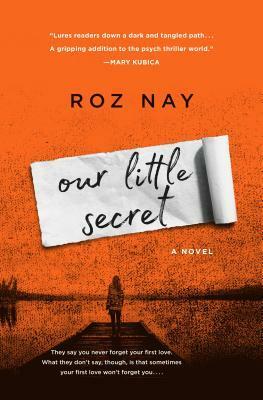 Roz Nay has written an absorbing psychological suspense novel about first love, secrets, obsession, and revenge. This was a very good dark and twisted debut novel. I am really looking forward to seeing what this author comes up with next. I’ve read a few of David Bell’s previous novels and really enjoyed them. 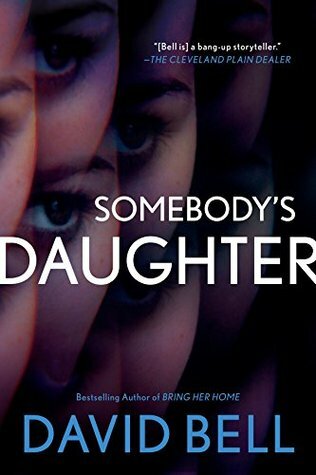 As soon as I read the description for “Somebody’s Daughter”, I immediately added it to the list of My Most Anticipated Reads of 2018. I love Carly Simon and I love this song. I also really enjoy Marilyn Manson’s cover so I thought I would attach both videos. But Zach knows this isn’t a practice drill. In the closet, he remains as still as he can. Even though the closet is small and stuffy. He can still hear the pop noises and screams coming from outside the closet. Then it’s over. But in the chaos of the aftermath, so much is happening. Normal rules don’t apply. Zach is still scared. In the days that follow, for Zach, everything looks the same but nothing feels the same. While the adults around him try to cope, he finds his own way of coping. He has a “secret hideout”, a place he can read and lock up negative thoughts in his “brain safe”. But he still has nightmares where he hears the “pop noises” over and over. Zack sees and hears so much of what is going on around him. The adults are all trying to cope in their own ways, ways that Zach doesn’t understand. The adults don’t see that Zach is there listening to everything they say and do. I couldn’t help but fall in love with Zach. He was a wonderful narrator. His feelings were so honest though at times he seemed older than his years. In many ways, this child had better coping skills than the adults around him. And amidst all of the confusion and uncertainty, this six-year-old boy helps starts the long process of healing. In my opinion, this was a well-written novel with many excellent characters. Though I’ve read other books about school shootings, this is the first I’ve read that is told from the perspective of a young child. I think it made it even more emotional. It’s incredibly sad how timely this novel is. An insightful and honest read about life, death, anger, guilt, forgiveness, and hope. 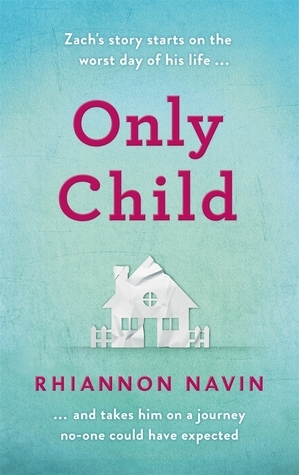 “Only Child” was an incredibly powerful read that will likely stay with me for a very long time. I’m certainly looking forward to reading more from Rhiannon Navin. I’d like to thank Mantle Publishing for giving me the opportunity to read this book in exchange for my honest review.